The Woodview Learning Enrichment Program option is new to Woodview as of the 2018/2019 school year. It is designed with the concept of acceleration in mind. This is for students who are near or at grade level in their core subjects and looking to eventually transition back to public schools or move onto higher grade levels. 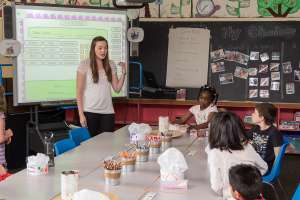 This teaches the curriculum content outlined for the student’s grade and in addition, the child will learn skills at two grade levels above if they are grade 4+. This program is currently integrated into the Elementary pathway program. These students work within a small group with a typical ratio of 4 students with 1 Instructor.